Explain the Free Trade Agreement to me in simple terms so I understand it from a business person's point of view. The Oman-US Free Trade Agreement (FTA) is a binding international agreement between the Sultanate of Oman and the Government of the United States that have improved economic relations and strengthened the overall relationship between the two countries. 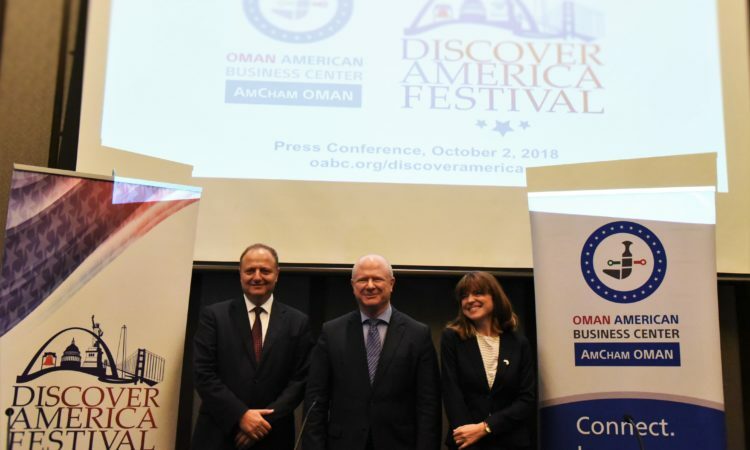 The FTA promotes more open and competitive markets, creates employment, promotes reciprocal business opportunities for Omani and US firms in their respective countries, and raises the standard of living in Oman. Oman has experienced both direct and indirect economic benefits from the FTA. Direct benefits come predominantly from increased import and export trade volumes resulting from reduced tariffs and improved market access. Indirect benefits result from the implementation of a more effective regulatory environment that reduces business risk and attracts private capital and foreign direct investments. With changes in the labor law and telecommunications regulatory policy and an increase in cross-border services, Oman has improved its business environment and created potential for better access and increased trade and investment in the domestic sector and in the Gulf region. By removing or reducing tariffs and other trade barriers, the FTA represents an opportunity for Omani businesses to expand the market for Omani goods and services in the United States. Firstly, duty-free access to the US market makes Omani goods and services more cost competitive. Secondly, easier access to US markets makes it possible to expand Omani’s services sector through the cross-border supply of services or through establishment in the US. Thirdly, by removing barriers to inward investment by American investors, the FTA has created opportunities for partnering and other business arrangement that can facilitate the exchange of technology, know-how and expertise, all of which contributes to making Omani goods and services more competitive in the US and other export markets. It is important to understand that the FTA is directed at revising government measures, tariff and otherwise, that have affected international trade between Oman and the US. It does not, by itself, create any new trade between Oman and the US. Rather it removes the impediment to international trade posed by these various measures. The purpose of this Guide is to provide Omani businesses with access to the tools, practice tips, and information resources they can use to take advantage of the new environment under the FTA. The Agreement covers all agricultural products. Oman has provided duty-free access for current U.S. agricultural exports in 87% of agricultural tariff lines. 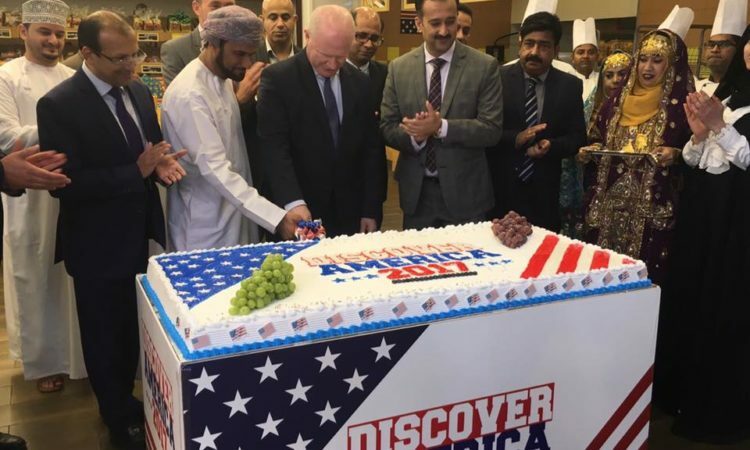 The United States has provided immediate duty-free access for 100% of Oman’s current exports of agricultural products to the United States. Both Oman and the United States will phase out tariffs on the remaining products within ten years of the signing of the agreement. The FTA provides fully reciprocal market access for U.S. textile and apparel products. The United States and Oman eliminated tariffs on the same schedule on a product-by-product basis. For the majority of products, tariffs were eliminated. The Agreement requires textile and apparel products to contain both U.S. or Omani yarn and fabric in order to qualify for duty-free treatment. However, in order to allow U.S. and Omani producers to develop and expand business contacts, the Agreement also provides, on a temporary basis, duty-free treatment for limited quantities of textile and apparel products that do not meet this requirement. The Agreement has provided benefits for businesses wishing to supply services cross-border (for instance, by electronic means) as well as businesses wishing to establish a presence locally in the other country. Key services sectors include audiovisual, express delivery, telecommunications, computer and related services, distribution, healthcare, services incidental to mining, construction, architecture and engineering. Strong and detailed disciplines on regulatory transparency supplement the Agreement’s crosscutting transparency provisions. Each government has committed that all service suppliers will have reasonable and nondiscriminatory access to the network, thereby preventing local firms from having preferential or “first right” of access to telecom networks. The agreement provides that interconnection between carriers will be based on nondiscriminatory and cost-based rates and provide access to key facilities to US firms seeking to build a physical network in Oman. Market liberalization initiatives help lower prices and increase the quality of services in Oman, which benefits all companies doing business in Oman. The e-commerce commitments helps Oman increase its productivity and spur innovation and participation in the global digital economy. Each government has committed to nondiscriminatory treatment of digital products and agreed not to impose customs duties on digital products transmitted electronically. For digital products delivered on hard media (such as a DVD or CD), customs duties are based on the value of the media (for instance, the disc), not on the value of the movie, music or software contained on the disc. The Agreement ensures that authors, composers, and other copyright owners have the exclusive right to make their works available online. The Agreement also ensures that copyright owners have rights to temporary copies of their works on computers, which is important in protecting music, videos, software, and text from widespread unauthorized sharing via the Internet. Each government commits to protect copyrighted works, including phonograms, for extended terms (e.g., life of the author plus seventy years), consistent with U.S. standards and international trends. The Agreement includes strong anti-circumvention provisions, requiring each government to prohibit tampering with technologies (like embedded codes on discs) that are designed to prevent piracy and unauthorized distribution over the Internet… Each government commits to using only legitimate computer software, thus setting a positive example for private users. The Agreement requires protection for encrypted program-carrying satellite signals (including the signal itself and the programming), to prevent piracy of satellite television programming. The Agreement sets out obligations concerning the liability of Internet service providers, reflecting the balance struck in the U.S. Digital Millennium Copyright Act between legitimate ISP activity and the infringement of copyrights. Patent terms can be adjusted to compensate for unreasonable delays in granting the original patent, consistent with U.S. practice. Grounds for revoking a patent are limited to the same grounds required to originally refuse a patent, thus protecting against arbitrary revocation. The Agreement provides protection for newly developed plant varieties. Test data and trade secrets submitted to a government for the purpose of product approval is protected against unfair commercial use for a period of 5 years for pharmaceuticals and 10 years for agricultural chemicals. The Agreement ensures that government marketing-approval agencies will not grant approval to patent-infringing pharmaceuticals. The Agreement requires each government to maintain a system to resolve disputes involving trademarks used in Internet domain names, which is important to prevent “cyber-squatting” with respect to high-value domain names. The Agreement applied the principle of “first-in-time, first-in-right” to trademarks and geographical indications, so that the first person who acquires a right to a trademark or geographical indication is the person who has the right to use it. Each government must establish transparent procedures for the registration of trademarks, including geographical indications, and to develop an on-line system for the registration and maintenance of trademarks, as well as a searchable database. The Agreement requires each government to criminalize end-user piracy, providing strong deterrence against piracy and counterfeiting. Each government has committed to having and maintaining authority to seize, forfeit and destroy counterfeit and pirated goods and the equipment used to produce them. IPR laws have been enforced against goods-in-transit, to deter violators from using U.S. or Omani ports or free-trade zones to traffic in pirated products. Ex officio action will be taken in border and criminal IPR cases, thus providing more effective enforcement. The Agreement mandates both statutory and actual damages under Omani law for IPR violations, which will deter piracy. Under these provisions, monetary damages can be awarded even if actual economic harm (e.g., retail value or profits made by violators) cannot be determined. Oman’s commitments to a science-based regime for sanitary and phytosanitary measures and robust transparency procedures for developing and implementing technical regulations, conformity assessment procedures and standards serve as an excellent example for the rest of the Gulf region. The Agreement provides integrity in procurement practices, including laws that make bribery of procurement officials a criminal or administrative offense. 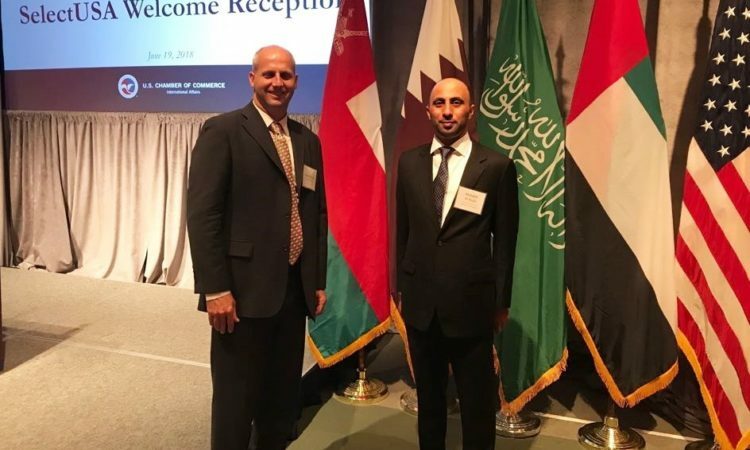 U.S. and Omani suppliers have increased certainty due to transparent, predictable and fair procurement procedures, such as advance public notice of purchases, as well as timely and effective bid review procedures. The Agreement requires transparency and efficiency in customs administration, including publication of laws and regulations on the Internet, and procedural certainty and fairness. Both governments agreed to share information to combat illegal transshipment of goods. In addition, the Agreement requires special customs cooperation measures to prevent fraud in the textile and apparel sector, and customs procedures designed to facilitate the rapid clearance through customs of express delivery shipments. Strong but simple rules of origin ensure that only U.S. and Omani goods benefit from the Agreement. Rules have been designed to be easy to administer and are consistent with other U.S. free trade agreements in the region. The Agreement fully meets the environmental objectives set out by the Congress in TPA. Environmental obligations are part of the core text of the Agreement. Each effectively enforces its environmental laws, and this obligation is enforceable through the Agreement’s dispute settlement procedures. Each government has committed to establish high levels of environmental protection, and to not weaken or reduce environmental laws to attract trade or investment. The Agreement also promotes a comprehensive approach to environmental protection. Procedural guarantees that ensure fair, equitable, and transparent proceedings for the administration and enforcement of environmental laws are married with provisions that promote voluntary, market-based mechanisms to protect the environment. As a complement to the Agreement, the governments have signed a Memorandum of Understanding on Environmental Cooperation establishing a Joint Forum on Environmental Cooperation, developed a plan of action, and set priorities for future environment-related projects. 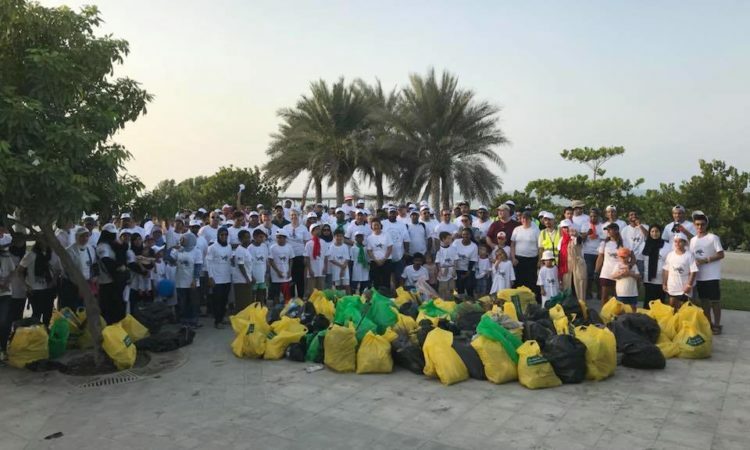 Priority areas for cooperation include development and implementation of Oman’s environmental laws and its capacity to conduct environmental impact assessments. Each government has reaffirmed its obligation as a member of the International Labor Organization (ILO), and commits to strive to ensure that its laws provide for labor standards consistent with internationally recognized labor rights. The Agreement makes clear that it is inappropriate to weaken or reduce domestic labor protections to encourage trade or investment. Each government is required to effectively enforce its labor laws, and this obligation is enforceable through the Agreement’s dispute settlement procedures. Procedural guarantees in the Agreement require each government to provide access for workers and employers to fair, equitable and transparent labor tribunals or courts. Improving systems for the administration and enforcement of labor laws. Each government must publish its laws and regulations governing trade, and publish proposed measures in advance and provide an opportunity for public comment on them. The agreement commits each government to apply fair procedures in administrative proceedings applying trade measures in a way that directly affects the interest of a trader from the other country. Each government must also ensure that a trader from the other country can obtain prompt and fair review of a final administrative decision affecting its interest. 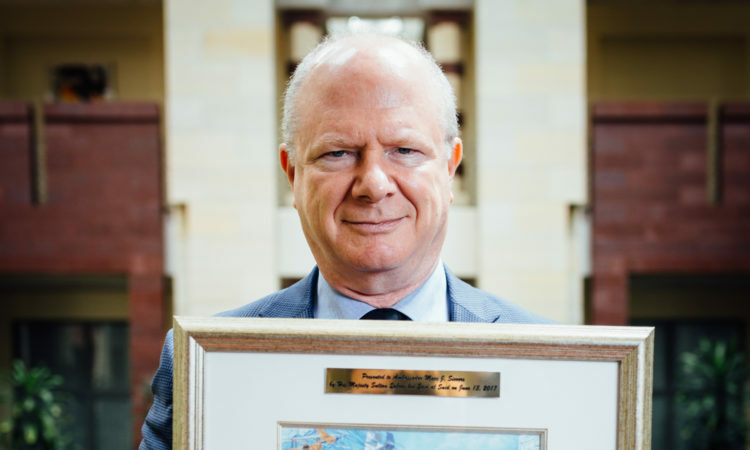 The Agreement requires each government to prohibit bribery, including bribery of foreign officials, and establish appropriate criminal penalties to punish violators. Each government has also agreed to work toward adopting or to maintain measures protecting whistle-blowers. Emphasis is on promoting compliance through consultation and trade-enhancing remedies. The Agreement includes strong enforcement mechanisms, including the ability to suspend trade concessions or establish monetary assessments. *These highlights were obtained from the Office of the United States Trade Representative Trade Facts. For more information about resources, please refer to the Resources page. What steps do I take to export to the United States? A good way to start your market research is to identify the value of US imports related to your industry or sector, and their source, as this will give you an idea of current demand for your type of product in the US. You can use a US statistical source, such as the Bureau of Economic Analysis at www.bea.gov. To retrieve the trade flow information — and for many other purposes — you will need to identify the code assigned to your product under the Harmonized Commodity Description and Coding System (HS). This is an international standardized product description and coding system developed and maintained by the World Customs Organization (WCO). It provides the tariff nomenclature upon which the tariffs of most countries are based. You’ll need the correct HS code at the US border, where the customs authorities will use it to determine the duties, taxes and regulations that apply to your shipment. The US uses a Harmonized Tariff System (HTS) to implement the HS system. In order to obtain the correct harmonized code for your product under the 10-digit US numbering system, you must first review the US Tariff Schedule to determine the tariff reduction scheme for your product. For the Tariff Schedule of the United States under the Oman-US Free Trade Agreement visithttp://www.omanusfta.com/documents.html. For detailed, step-by-step instructions on how to identify the HS code assigned to your product under the Harmonized Commodity Description and Coding System (HS) and the correct harmonized code under the 10-digit US numbering system please refer to FAQ # 14: How do I identify my product’s customs duties and fees? You will make better decisions about your export strategy and have a greater chance at success if you’ve been studying potential US markets from the very beginning of your export initiative. As you close in on the market segment that seems best for your product or service, your research will simply become more focused. The US Census Bureau (www.census.gov) provides coverage of the statistical data collected in the US Census, including detailed demographic data. The Bureau of Economic Analysis (www.bea.doc.gov), which is part of the US Bureau of Commerce, provides statistics and analyses of US economic performance. The US National Technical Information Service (NTIS) (www.ntis.gov) is part of the US Department of Commerce and is a repository of more than two million titles of government-sponsored scientific, technical, engineering and business related publications. FedBizOpps (www.fedbizopps.gov) provides a single point of entry for the US government’s product and services procurement process. Many individual states also maintain web portals for doing business with government entities. For example, the State of California lists all public procurement opportunities, the preferences and restrictions that apply thereto, the applicable rules and processes, and other information for doing business athttp://www.pd.dgs.ca.gov/sell2state/default.htm. For more information about how to conduct market research, please refer to FAQ # 9: How do I identify current trends and competitors? Management Objectives: What does the company want to achieve from exporting? Is exporting consistent with other company goals? Is senior management willing to devote a significant amount of resources to the export drive? 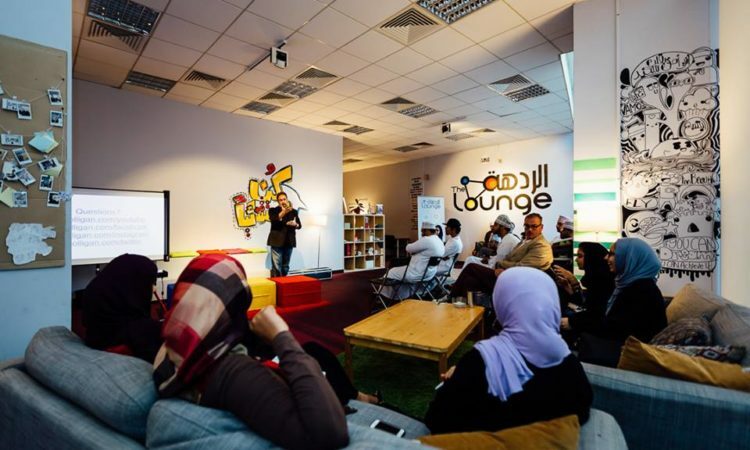 Company Experience: Does the company have a proven and market-tested product or service? Does the company have a solid base of domestic customers that can vouch for the quality of the product/service? Who are the main domestic or foreign competitors? Financing: Are sufficient funds available for exporting? Can you obtain the working capital needed for any necessary expansion, such as staff or production space? Do you have enough cash flow to sustain you until payment for your goods or services is received? Right Product: How is the company’s product or service differentiated in the market? What is its value-added? The US is a ferociously competitive market: what advantages does your product or service have that will set it above its competition? Will your product or service need to be adapted to the US market (e.g., will your oak cabinets warp in the humidity of the South)? Will your product or service need different packaging and promotional materials? For example, will brochures need to be in English and in Spanish? Production Capacity: Does the company have sufficient capacity to support the domestic and export market? Can the company handle a sudden rise in demand? Knowledge of Export Marketing: Does the company have export experience? Is it experienced in the technical aspects of exporting? For more information about assessing your company’s export readiness, you can refer to: A Basic Guide to Exporting – Developing an Export Strategy (Management Issues Involved in the Export Decision). In addition, you can also refer to the online Export Readiness Diagnostic. Once completed, it will give you a summary of your company’s strengths and weaknesses as an exporter. Introduction and Rationale: The introduction provides the basic rationale for why the company should export. The reasons should fit with the company’s overall business plan. Situation and Background Analysis: This describes the company, its internal resources and the structure of the industry in which it belongs. It should further describe the following: product or service, current operations, proposed export organization, and industry structure. Marketing Component: The company must identify how it will select and service target markets. Specific sales profit targets should be set. The section should further discuss the following: identifying target markets, product selection and pricing, distribution, terms and conditions of sales, internal export procedures, and sales goals. You must include possible modifications to your product because of US standards, regulatory requirements or consumer preferences as well as extra packaging to cope with increased handling. Action Steps: The company must identify its primary and secondary target markets and describe how the market will be approached and developed. Export Budget: The company must prepare a budget for their export drive and must identify from where the money will come. You must consider exchange rate fluctuations, business travel expenses, costs involving third parties such as US customs brokers, freight forwarders and US agents, insurance for travel, and goods shipping among others. Implementation Schedule: The company must prepare timelines for its export drive. Feedback and Evaluation Mechanisms: The company must determine how it will develop feedback on the export drive and how it will be evaluated. Financial analysis will be a key part of any export plan. You will need to research the price trends for your product or service in the target market so that you will understand both your competitor’s pricing strategies and the buying patterns of your potential customers. For a general discussion of the factors involved in establishing prices, you can refer to the “Setting Prices” section of Chapter 4 of the Step-by-Step Guide to Exporting, a publication of the Government of Canada, which can be found at http://tradecommissioner.gc.ca/exporters-exportateurs/guide-exporting-guide-exportation.aspx?lang=eng. For information about developing an export marketing plan, you can refer to: A Basic Guide to Exporting – Developing an Export Strategy. In addition, you can refer to: Chapter 2 of the Step-by-Step Guide to Exporting, a publication of the Government of Canada, available at http://tradecommissioner.gc.ca/exporters-exportateurs/guide-exporting-guide-exportation.aspx?lang=eng. Now that you have performed your market research, confirmed that your company is export-ready and developed your export marketing plan, the next step is to secure trade leads, buyers or consignee for your product. There is no “one size fits all” approach to developing trade leads. It requires extensive effort, including research, networking, and marketing. For a more detailed discussion, please refer to FAQ # 8: How do I find relevant trade leads? How do I contact an appropriate partner? Goods must be made entirely or wholly obtained in the United States and/or OmanNote: Relatively few products, other than agricultural, fishery, and mining products, are wholly obtained in a single country. Examples of agricultural goods wholly obtained in Oman include animals that are born and raised or hunted in Oman, products obtained from live animals in Oman (e.g., eggs), or plant products harvested in Oman. Other wholly obtained products include mineral products that are mined in Oman or scrap and waste from manufacturing or processing that is fit only for recovery of raw materials. If third-country materials are used, these materials must be “substantially transformed” by manufacturing or processing into a new or different article of commerce in the territory of one or both of the FTA Parties and must contain not less than 35% US and/or Oman content.Note: A product is ‘substantially transformed’ when it undergoes a change in ‘name, character or use’ that is deemed ‘substantial’. Examples of substantial transformation include transforming wood to a wood table, glass sheet to a car windshield. On the other hand, some examples of manufacturing that do not meet the substantial transformation qualification include: blank ceramic vase to a hand-painted vase, or unfinished wood chair to a finished wood chair. Goods covered by the specific rules of origin found in Annex 3-A or Annex 4-A of the FTA must satisfy the relevant rules found in those Annexes. These rules generally require that the goods undergo a specified change in tariff heading. Goods not covered by the rules in Annex 3-A and Annex 4-A must also meet the thirty-five percent origin requirement to qualify for preferential treatment under the FTA. Under this requirement, 35% of the appraised value of the good imported into Oman must be attributable to the cost or value of materials of US and/or Omani origin and/or the direct costs of processing the product in the United States and/or Oman.Note: The cost or value of materials incorporated in the imported good may be counted toward the 35% domestic content requirement only if such materials are produced in the United States and/or Oman. Materials will be considered produced in the United States and/or Oman if the materials are wholly the growth, product, or manufacture of one or both of the Parties; or the materials are substantially transformed in the United States into a new and different article of commerce, which is then incorporated into the finished good. Goods must be imported into Oman directly from the United States. What are the documentary requirements for me to export to the United States? Although US customs regulations seem complex, clearing goods into the United States can be relatively uncomplicated if you’re well prepared for the process. Make sure to prepare complete and accurate export documentation. In fact, inaccurate or incomplete documentation is the most common reason for export shipments being delayed when entering the United States. A little extra time spent on your paperwork will help facilitate contribute a great deal to problem-free customs clearance. This guide is meant as a general reference to the export documentation requirements under US customs law and regulation. Regulations are subject to change and may be updated frequently. Accordingly, the US Customs and Border Prevention website should be consulted for current information. There are two major ways in which your goods can enter the United States: 1) as a formal entry, also called a commercial entry, or 2) as an informal entry. Formal / Commercial Entry of Goods. Formal entry is the method under which most exports enter the US. In the case of formal entry, US customs regulations require the use of a US customs broker. Any shipment valued at more than US$2,000 and all shipments, regardless of value, consisting of controlled goods (that is, goods requiring US permits or licenses to cross the border) must use the formal entry route. Note that a US customs inspector can also require a formal entry, at his or her discretion, even if the goods are not controlled or even if they are valued at less than US$2,000. In most but not all cases, where an Omani exporter is shipping to a US customer, the responsibility to appoint a broker and ensure that applicable clearance procedures are followed can be shifted to the US importer. The exporter’s job would only be to arrange for all necessary export documentation, although the assignment of responsibility for these tasks reasonably can be expected to be a factor in concluding payment terms. Of course, where an Omani exporter is shipping to its own entity in the US, it would also be the importer and bear the clearance responsibility. Informal Entry. Informal entry doesn’t require a broker if the shipment is accompanied by the exporter, or if the consignee comes to the port of entry to collect it. Further explanation is provided below. For more detailed information, the US Bureau of Customs and Border Protection (CBP) provides a downloadable pamphlet (PDF 465KB) on US import requirements that contains much useful information about US customs and entry procedures. Depending on the nature of the goods, the shipment may also need to be accompanied by permits or licenses (if they’re controlled goods). Your exports may have to abide by regulations established by other US agencies. For example, the Federal Trade Commission (FTC) is responsible for enforcing import regulations for clothing and textiles, which are subject to more controls than some other goods. The US Food and Drug Administration (FDA) maintains guidelines for the labeling of food and beverage products; if your product falls into these categories, you may need additional documentation such as a Certificate of Hygiene, a Certificate of Free Sale or a Certificate of Inspection. The FDA administers new and stricter standards that have been adopted in the US to protect against the import of food and agricultural products containing hazardous chemicals and other substances. The US Federal Communications Commission is responsible for administering type approval and labeling requirements for electronics or other products that produce radio emissions. The US Consumer products safety Commission administers laws and regulations adopted to protect against the important of hazardous and unsafe toys and children’s clothing. The US Department of Agriculture and the Customs and Border Prevention agency administers controls prohibiting the import of plants or timber taken or traded in violation of international or domestic law. The rules w requires an import declaration for plants that includes the scientific name of any plant, a description of the value, quantity, and the name of the country from where the plant was taken. This is not an exhaustive list. Depending on your product, your customer or counterpart in the US, your US customs broker, as well as the agencies in question, can help you understand and deal with these special requirements. As with clearance procedures, where an Omani exporter is shipping to a US customer the responsibility to obtain necessary licenses and permits can be shifted to the importer, although again this may have an impact o the payment terms. Commercial Invoice – Also known as a business invoice, this must represent the content and value of your shipment including few promotional items. Do not declare goods, such as promotional items or samples, as being of “No commercial value.” US customs officials may decide to impose a value of their own or may even refuse entry of the goods. Finally, when using part numbers, provide a written description that will help classify the goods for customs purposes. Be sure that each invoice also shows the total amount charged to the buyer for the shipment; never use the net value. This document is prepared by the exporter. Importer ID Number – Also known as the Customs Assigned Number, this is used by US Customs to establish bond coverage, release and entry of merchandise, liquidation, the issuing of bills and refunds, and drawback processing. Your customs broker can help you obtain the number or you can get it yourself by submitting Form 5106 to US Customs (PDF 619KB). Bill of Lading or Airway Bill – The Bill of Lading is issued by the transportation carrier, freight forwarder, or broker to the exporter acknowledging receipt of the goods to be shipped, as well as their placement on a shipping vessel. The date on the bill should not be later than the shipping date specified in the letter of credit. It must be signed by the shipping company or its authorized agents. Hence, they are responsible for filling it out. A bill of lading isn’t needed for mail shipments. The Airway Bill establishes the terms between an exporter and an air transportation company for the transport of goods. The Airway Bill is issued and signed by the air transportation company and should be presented within two or three days from the date of shipment, or as stipulated in the letter of credit. Entry Manifest – The carrier is responsible for filling this out. Again, this isn’t needed for mail shipments. Entry / Immediate Delivery – This is used for time-sensitive and express shipments, such as fresh produce, and replaces the entry manifest. The carrier is responsible for submitting this to US Customs before the shipment arrives at the port of entry. Harmonized System Tariff Classification (HS Code) – HS codes are an internationally developed and implemented commodity-description and coding system, upon which the tariffs of most countries are based. You’ll need the correct HS code at the US border, where the customs authorities will use it to determine the duties, taxes and regulations that apply to your shipment. For more information about the HS Code, see FAQ #14: How do I identify my product’s customs duties and fees? Packing List – A packing list can ensure the speedy examination of goods. Orderly packing and invoicing go hand in hand. Ministry of Commerce and Industry: P.O. Box 550, Postal Code: 113, Sultanate of Oman Tel: 24774151 Fax: 24815400, website: www.mocioman.gov.om, e-mail: info@mocioman.gov.om. Oman Chamber of Commerce and Industry (OCCI): P.O. Box 1400, Ruwi, Postal Code 112, Sultanate of Oman, Tel: 24707674/84/94, Fax: 24708497, website: www.chamberoman.com, e-mail: occi@chamberoman.com. Directorate General of Fisheries, Ministry of Agriculture and Fisheries: P.O. Box 467, Postal Code 113, Sultanate of Oman, Tel: 24696300, Fax: 24696271, website: www.maf.gov.om. Ministry of Heritage & Culture: P.O. Box 66, Postal Code 113, Sultanate of Oman, Tel: 24602555, Fax: 24602735 Website: www.oman.om. For more information about rules of origin, see FAQ #6: What product packaging and labeling requirements must I take into account? Your goods are considered an informal entry if their value is less than US$2,000, and if they are not controlled goods. As mentioned earlier, informal entry doesn’t require a broker if the shipment is accompanied by the exporter, or if the consignee comes to the port of entry to collect it. Documentation for informal entry is less stringent than it is for formal entry, although the shipment must be accompanied by a commercial invoice. The Importers Manual USA compiled by the World Trade Press is a useful guide to US customs rules for foreign importers. See www.worldtradepress.com/Importers_Manual_USA.html. A US customs broker will act on behalf of the importer or, depending upon the terms of the contract, the exporter to clear the goods through customs and deliver them to their final destination. In most but not all cases, where an Omani exporter is shipping to a US customer the responsibility to appoint a broker to ensure that applicable procedures are followed can be shifted to the US importer. Brokers stay up-to-date with all customs regulations and procedures, and will be aware of changes well before you are. They prepare all the export documentation that Oman and US Customs require. Before your goods can clear customs, US regulations require a bond for their value plus any duties. Your broker will arrange this bond for you. A broker will clear your goods through customs quickly, sparing you storage costs. To find a US customs broker, check the Web site of the National Customs Brokers & Forwarders Association of America (NCBFAA) at www.ncbfaa.org. The site has a searchable membership directory that will direct you to the Web sites and contact information of NCBFAA members. In addition, you can find a broker at a particular port of entry by visiting the Ports of Entry page on the US Customs and Border Protection site at https://www.cbp.gov/contact/ports. Select the port of entry and scroll down the page to the link for its brokers list. In some cases, the importer or consignee will arrange these matters. You should ensure with your carrier that the importer of record will be notified of your shipment as soon as it arrives at US Customs. The importer of record is responsible for filing all entry documents with the authorities at the port of entry. The importer of record can be the exporter (you), your consignee/buyer, or the US customs broker. Whether the requirements of other US federal agencies, such as the Department of Agriculture, have been met. Once the customs officials have decided that the shipment and its documentation are in order, the goods are allowed to proceed into the US The broker then determines the duties or fees payable and files this information, along with any payment due, with US Customs. After official appraisal of the goods, the entry is “liquidated,” meaning that the final computation of duties and/or drawback is complete. US Customs levies severe penalties for fraud or negligence, so you have to be very sure that the information you give about your exports is accurate and complete. If you discover errors after your goods have entered the US, notify your customs broker immediately; you may be able to avoid penalties through prior disclosure of the mistake (in other words, before US Customs detects it). You won’t normally be penalized for clerical errors or omissions, but negligence or gross negligence, as defined by US Customs, can draw penalties of up to four times the duty or 40 percent of the value of the goods. The penalty for outright fraud, such as false valuation, can be the entire value of the shipment or seizure of the shipment. Your best defense against such problems is to be very thorough and precise in preparing your documentation. How do I secure a Visa for U.S. entry should I decide to take a business mission to the U.S.? It is highly recommended that company officials visit the countries to examine the markets where they are considering selling their products before any transaction occurs. The United States market can differ greatly from the Omani market and by visiting, a company can familiarize itself with cultural nuances which may impact the design, packaging or advertising of the product. Moreover, traveling abroad allows one to locate and cultivate new customers, as well as improve relationships and communication with current foreign representatives and associates. Clients and customers prefer to conduct business in person before concluding a transaction. B-1 Business Visa and Combined B-1/B-2 Business and Visitor’s Visa. Issued for short stays for business or pleasure, these visas accounted for 52.3 percent of the total visas issued in 2006. Visitors in these classes of admission are generally granted stays of 90 days under the Visa Waiver Program (VWP) or up to 1 year. Visa applicants between the ages of 14 and 79 must be interviewed in person by a US Consular Officer. Applicants for visas should generally apply at the American Embassy or Consulate with jurisdiction over their place of permanent residence. Although visa applicants may apply at any US consular office abroad, it may be more difficult to qualify for a visa outside your country of residence. For example, those applying at the US Embassy in Muscat should be Omani citizens or hold legal Omani residency and be able to demonstrate strong economic, familial, and/or social ties to Oman. All non-Omani applicants should have residency permits that extend through their anticipated dates of travel. Minor children included in a parent’s passport require their own application and fee. 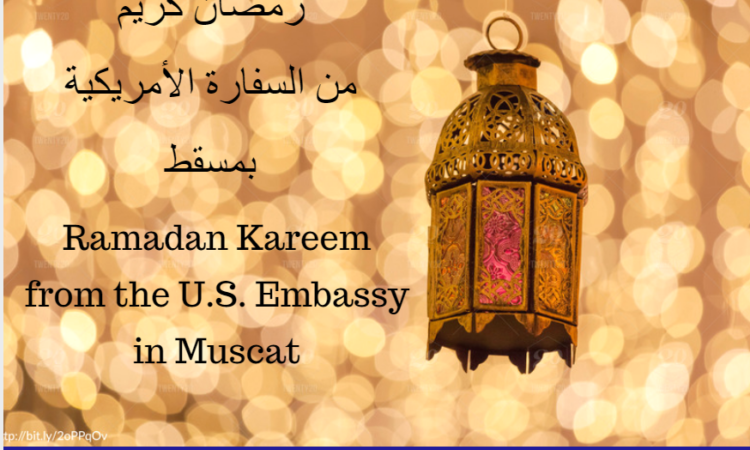 For detailed requirements regarding the application process, please visit the website of the U.S. Embassy in Muscat. Note: Fulfilling the visa application requirements detailed in items listed above does not guarantee issuance of a visa. A visa may be issued only when the applicant independently qualifies for visa status. Some visa applications require additional administrative processing which requires more time. Applicants are advised when they apply. To avoid possible delays, we encourage applicants to apply as early as possible. H-1B Specialty Occupation Visa and H-2B Non-agricultural Temporary Workers Visa. These visas are frequently used by established US-based businesses to hire temporary skilled and non-agricultural unskilled workers. L-1 Managerial/Executive Visa. This visa is granted to managers, executives, or employees with specialized knowledge who come to the United States to work for the same employer, subsidiary, or affiliate overseas. Although there is no general non-immigrant visa category for nonimmigrant investors, there are special visa categories authorized under bilateral treaties between the United States and specific foreign countries. E-1 Treaty Trader Visa. This visa focuses primarily on facilitating trade with the United States, but is also relevant to foreign companies with significant US trade that are also looking to make a US-based investment. To qualify, among other elements, the international trade associated with the firm must be “substantial” in the sense that there is a sizable and continuing volume of trade and the trade must be principally between the United States and the treaty country. At this time, Oman is not eligible for E-1 visas. E-2 Treaty Investor Visa. This visa is aimed at entities looking to make an investment in the United States. Several specific investment-related requirements apply, including a requirement that the investment be substantial and sufficient to ensure the successful operation of the enterprise. Oman is eligible for E-2 visas. The E-1 Treaty Trader Visa and E-2 Treaty Investor Visa are available to citizens of 80 countries. As noted above, Oman is eligible for E-2 visas only at this time. The E-1 and the E-2 visas do not require a specific minimum capital investment, although the level of investment is relevant to the E-2 visa. 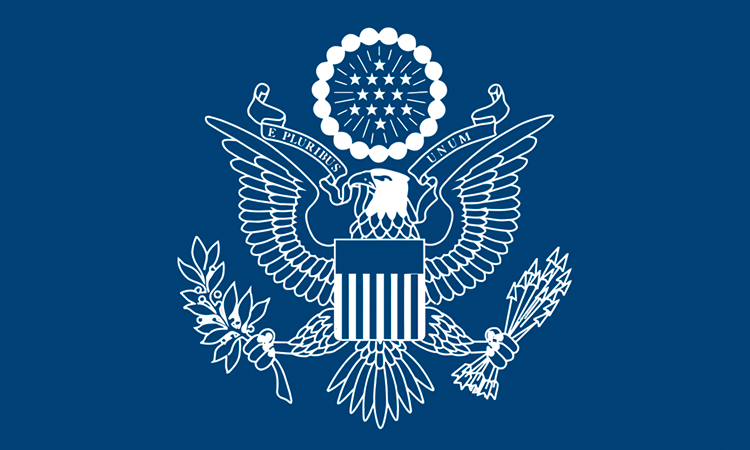 The existence of these special treaty-based visas has not been widely publicized, although they are clearly described on the Department of State Web site. What product packaging and labeling requirements must I take into account? Proper packaging and labeling is another factor in ensuring trouble-free exporting. This is an important step to ensure the proper handling of the product during the export process so that your shipment arrives on time and intact. What the goods are, how they are being shipped and what type of hazards they will encounter en route are factors that should be considered in how your shipment is packaged and labeled. It’s in the exporter’s best interest to package and label properly. Buyers may choose not to accepts damaged or tardy shipments and affect their decision to order from you again. There are two types of requirements related to identifying “country of origin” that will apply to exports of goods from Oman to the US. Marking Requirements Under the Tariff Act. Under Section 304 of the [US] Tariff Act of 1930, as amended (19 USC. 1304) (the “Tariff Act”), unless excepted, “every article of foreign origin imported into the US shall be marked in a conspicuous place as legibly, indelibly, and permanently as the nature of the article (or container) will permit, in such a manner as to indicate to the ultimate purchaser in the US the English name of the country of origin of the article.” iv CBP rules state that the ultimate purchaser in the US must be able to find the marking easily and read it without strain. v The FTA does not contain an explicit blanket exemption from this requirement. Thus, under the Tariff Act, each individual good or article, or at least the container or carton in which the goods arrive may have to bear a “Made in Oman” mark. The rules to determine how the Tariff Act marking rules will apply to your product are nuanced and complex. The CBP provides detailed information on the topic in its trade publications, a link to which is provided in the resources section of this toolkit. In addition, the US importer or customs broker may be able to provide advice on how best to comply with the rules. Proper packaging should provide physical protection during the shipping process against moisture, breakage, temperature, dust, breakage, shock, and vibration. Besides the normal handling encountered in domestic transportation, handling facilities may vary in sophistication subjecting cargo to rough handling and strains. In addition to physical protection, proper packaging can also provide the marketing benefits by encouraging potential buyers through attractive packaging and features which add convenience in distribution, handling, display, sale, opening, and reuse. Packaging can also contribute to reducing the security risks of shipment through authenticity seals to ensure the contents are not counterfeit. The use of anti-theft devices, such as dye-packs, RFID tags, or electronic article surveillance tags, can help to prevent losses and save money. Another way exporters can use packaging to maximize efficiency and reduce cost is to cluster small objects into one package (ex. 100 pencils per box, rather then one pencil per box). Labeling is just as important as packaging to help ensure that shipments are handled properly during the export process. Exporters should be aware of the various signs and symbols used in international shipping. Country of origin should be clearly and prominently marked on the label. Ensure compliance with environmental and safety standards. Letters are generally stenciled onto packages and containers in waterproof ink. Markings should appear on three faces of the container, preferably on the top and on the two ends or the two sides. Any old markings must be completely removed from previously used packaging. Exporters can use containers obtained from carriers or private leasing companies which vary in size, material, and construction. They accommodate most cargo but are best suited for standard package sizes and shapes. Even though air shipments may require less heavy packing than ocean shipments, exporters should take care to adequately protect goods from tampering and theft. In many instances, standard domestic packing is acceptable, especially if the product is durable and there is no concern for display packaging. In other instances, high-test (at least 250 pounds per square inch) cardboard or tri-wall construction boxes are more than adequate. Finally, because transportation costs are determined by volume and weight, especially reinforced and lightweight packing materials have been developed for exporting. Packing goods to minimize volume and weight while reinforcing them may save money, as well as ensure that the goods are properly packed. It is recommended that a professional firm be hired to pack the products if the supplier is not equipped to do so. This service is usually provided at a moderate cost. Dealing with the shipping process can be a complicated process, especially for those who are new to exporting. Rather than managing everything yourself, using freight forwarders can save time and help to ensure the proper handling of your shipment. They usually offer these services for a stated fee plus documentation charges – which should be considered at the planning stage and factored into the price of your product. Freight forwarders will know the best shipping methods for your product. They will also be able to provide necessary information on US import and customs regulations and the documentation and procedures necessary to get your shipment to its destination. Most can also provide estimates for insurance and offer other services. Freight forwarders are discussed in more detail in FAQ #13: What logistics support services are available to me for exporting to and importing from the US and how do I use them? The party who pays for insurance will be the party who bears the risk of loss or damage based on the commercial terms of the transaction and, in part, the terms that allocate risk. International carriers will usually assume only limited liability for the shipment, and, in most cases, the shipper is liable for the goods up until the point of delivery to the consignee. Based on this it is of utmost importance that the exporter have transportation insurance. Most freight forwarders can arrange insurance for your shipment or you can do it yourself through an insurance company. Ex Works means that the exporter fulfills its obligation to deliver when it has made the goods available at its premises (i.e. works, factory, warehouse, etc.) to the importer. The exporter is not responsible for loading the goods on the vehicle provided by the importer. Unless otherwise agreed, the exporter is not responsible for clearing the goods for export. EX WORKS represents the minimum obligation for the exporter. Free Alongside Ship means the exporter fulfills its obligation to deliver when it has handed over the goods, cleared for export, into the charge of the carrier named by the importer at the named place. If no precise point is indicated by the importer, the exporter may choose within the place or range stipulated where the carrier shall take the goods into its charge. When the exporter’s assistance is required in making the contract with the carrier (rail, air, etc. ), the exporter may act at the importer’s risk and expense. Free On Board means the exporter fulfills its obligation to deliver when the goods have passed over the ship’s rail at the named port of shipment. The importer has to bear all costs and risks of loss of or damage to the goods from that point. Free On Board requires the exporter to clear the goods for export. Cost and Freight means the exporter must pay the costs and freight necessary to bring the goods to the named port of destination. The risk of loss or of damage to the goods, as well as any additional costs due to events occurring after the time the goods have been delivered on board the vessel, is transferred from the exporter to the importer when the goods pass the ship’s rail in the port of shipment. If the importer does not insure the shipment and if the goods are damaged, you may run the risk of not being paid. Cost and Freight requires the exporter to clear the goods for export. Cost, Insurance and Freight assigns the exporter the same obligations as under Cost and Freight and the exporter also has to procure marine insurance against the importer’s risk of loss of or damage to the goods during the carriage. The exporter contracts for insurance and pays the insurance premium. The exporter is only required to obtain insurance on minimum coverage. Cost, Insurance and Freight requires the exporter to clear the goods for export. Carriage Paid To means the exporter pays the freight for the carriage of the goods to the named destination. The risk of loss or damage to the goods, as well as any additional costs due to events occurring after the time the goods have been delivered to the carrier, is transferred from the exporter to the importer when the goods have been delivered into the custody of the carrier thereby imposing the insurance obligation on the importer. Carriage Paid To requires the exporter to clear the goods for export. Delivered Duty Unpaid means the exporter fulfills its obligation when the goods arrive by any means of transportation to the named place of destination. Under this mode, the exporter has to bear the costs and risks (including insurance) of bringing the goods to the destination except the duties, taxes and other official charges payable upon importation. If the parties wish the exporter to carry out customs formalities and bear the costs and risks, or pay any taxes, this has to be made clear by adding words to this effect. Delivered Duty Paid is the same as Delivered Duty Unpaid, except that the exporter also bears the costs of duties, taxes and other official charges payable upon importation, as well as the costs and risks of carrying out customs formalities. Delivered Duty Paid is the exporter’s maximum obligation. In all cases, it is important to be prepared to address these issues in your negotiations with your customer, identify the risks you will bear under the arrangement, decide whether you should purchase insurance burden and, if so, fully understand what coverage you’re getting. What are the technical and quality standards that I must take into account? An understanding of the necessary applicable technical regulations and requirements, standards, and conformity assessment procedures for your product is essential to exporting success. This includes awareness of pertinent laws, decrees, regulations, requirements, and procedures such as processes and production methods; testing, inspection, certification and approval procedures; quarantine treatments; sampling procedures; methods of risk assessment; and packaging and labeling requirements directly related to the product. Brief details of the project, project specifications, production quantities etc. and the standards against which products would be manufactured. The standards could be Omani, Gulf or International. Depending on the product or service, requirements may have been established at the federal, state and/or local levels. Making sure your goods meet US requirements will make it easier for you to export to the US market. Conformity-assessment procedures help ensure that products, services, or systems have the required characteristics, and that these characteristics are consistent from product to product, from service to service, and from system to system. Conformity assessment includes sampling, testing, inspection, certification, and quality and environmental system assessment and registration. It also includes accreditation of the competence of those activities by a third party and recognition (usually by a government agency) of an accreditation program’s capability. For example, sanitary (human and animal health) or phytosanitary (plant health) measures provide specific rules for medicines and food safety. The US Consumer Products Safety Commission has rules related to product safety. The Underwriters Laboratories have technical and labeling requirements related to electrical appliances. The US Federal Communications Commission is responsible for administering type approval and labeling standards applicable to any device that emits radio frequencies, whether related to telecommunications or not. ASTM International, originally known as the American Society for Testing and Materials (ASTM) is one of the largest voluntary standards development organizations in the world. Both the US Customs and Border Protection (CBP) agency and the US Federal Trade Commission use ASTM standards to make compliance determinations under their regulations. The American National Standards Institute (ANSI) develops and publishes voluntary consensus standards for products used in commerce in the US. In some cases a voluntary standard can become mandatory when it is adopted by government. In many cases, depending on the particular practices followed by your customer, your products may be more competitive if they conform to the commonly accepted standards applicable to your product category in the US. Information on US technical standards and certification is available from the National Institute for Standards and Technology and information on safety standards is available from Underwriters Laboratories. You can also refer to the broad legal standards set forth in the WTO agreements. NIST serves as the Enquiry Point for the U.S. Depending on the nature of the goods, the shipment may also need to be accompanied by permits or licenses (if they’re controlled goods). Your exports may have to abide by regulations established by other US agencies. For example, the Federal Trade Commission (FTC) is responsible for enforcing import regulations for clothing and textiles, which are subject to more controls than some other goods. The US Food and Drug Administration maintains guidelines for the labeling of food and beverage products; if your product falls into these categories, you may need additional documentation such as a Certificate of Hygiene, a Certificate of Free Sale or a Certificate of Inspection. The US Federal Communications Commission is responsible for administering type approval and labeling requirements for electronics or other products that produce radio emissions. This is not an exhaustive list. Depending on your product, your customer or counterpart in the US, your US customs broker, as well as the agencies in question, can help you understand and deal with these special requirements. How would I find relevant trade leads? How do I contact an appropriate partner? The Omani Centre for Investment Promotion and Export Development has established a world wide network of representatives who can assist Omani exporters. 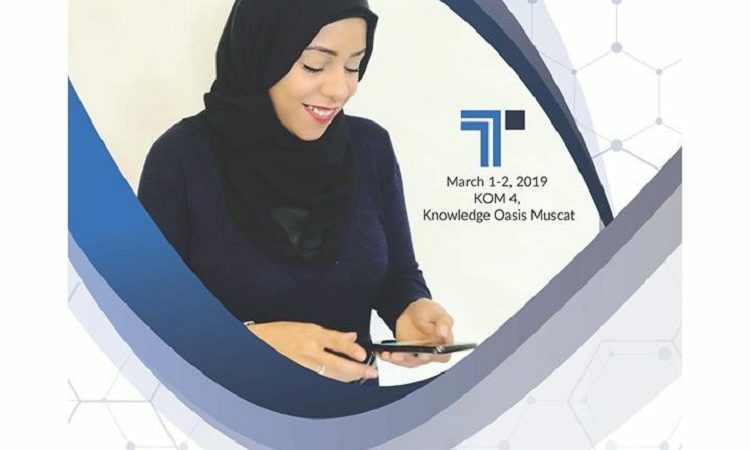 A booklet containing information on OCIPED representatives is available at The Omani Centre for Investment Promotion and Export Development (OCIPED), P.O. Box 25, Al Wadi Al Kabir, Postal Code 117, Sultanate of Oman, Tel: (00968) 7712344, Fax: (00968) 7710890, E-mail: info@ociped.com, Web Site: www.ociped.com. Talking to trade officials at the US Embassy is one way to start. The US Commercial Service is the trade promotion unit of the International Trade Administration of the Department of Commerce. 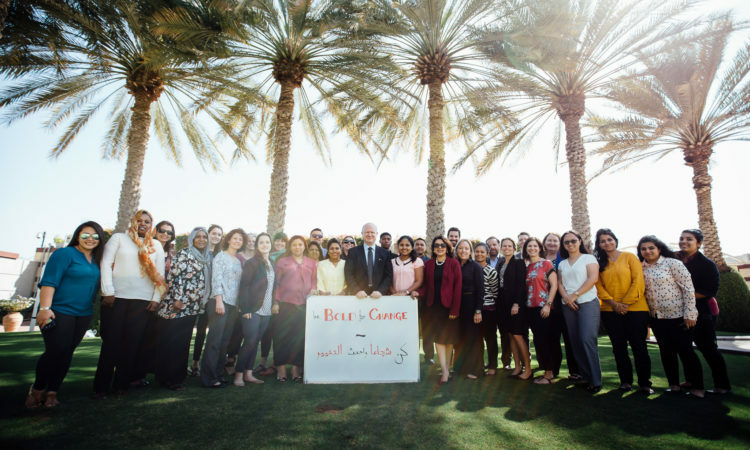 With trade specialists in more than 80 countries, they work to facilitate trade and make business to business connections between US companies and potential partners all over the world. They can help exporters identify and qualify leads for potential buyers, distributors, joint venture partners, and licensees from both private and public sources. In the absence of a commercial officer, State department economic officers can provide many of these services. For more information, refer to FAQ #4. Exporters can choose to work through an Export Development Company (EDC) as a link to the market. EDCs (also sometimes referred to as trading houses, export management companies or international trading companies) act as business development intermediaries between producers and markets. They provide a range of services to companies that have exportable products but who do not have the time and resources to learn all that is necessary to successfully export. Their assistance allows the exporter to concentrate on production while offering high quality professional expertise in handling all aspects of exports. They specialize in procuring merchandise locally to sell internationally as well as buying internationally and selling locally. An illustrative list of EDCs is provided in the resources section of this toolkit. Participation in trade events, such as trade shows, fairs, and trade missions, can also be an effective way to make contacts, find buyers, and collect strategic information about opportunities and competitors. Presenting your product at trade shows in the export market provides the buyer with an opportunity to examine and evaluate the product, increasing chances for sales. Sales letters and brochures are always instrumental marketing tools, but an actual presentation of products in the export market may sometimes prove more beneficial. Breaking down and packing the exhibit, and return shipping. A trade magazine or association can generally provide information on major shows. They can be privately run or government sponsored. Exporters in the Sultanate of Oman, can log onto the OCIPED website to access information on where exhibitions are occurring worldwide. Other organizations in the Sultanate of Oman listed in the Resources section may also provide information on exhibitions. Exporters should leverage contacts with business colleagues and associations with firsthand experience in the US market who may have a great deal of invaluable information and may be able to recommend an agent, distributor, or potential buyer. Attending export seminars and industry trade shows is an excellent method of networking with business people who have international experience. In addition, trade associations can provide a valuable source of contacts with individuals who may wish to share their experience of identifying and selling to buyers and representatives in foreign markets. Banks can be another source of assistance in locating US representation. The international departments, branches, or correspondent banks of US banks may be able to recommend reputable firms that are qualified and willing to represent foreign exporters. In addition, freight forwarders, freight carriers, airlines, port authorities, and chambers of commerce maintain offices throughout the world. These service firms often have contacts with qualified representatives and may be able to make recommendations to the exporter. A varied assortment of magazines covering the US market are also available to potential exporters supplying helpful market information, specific recommendations for selling in the market, and help for advertisers in locating sales representation. Many of these are available electronically. Available publications range from specialized magazines relating to individual industries such as construction, beverages, and textiles, to worldwide industrial magazines covering many industries. Many of these magazines and directories may be available at libraries, Commerce Export Assistance Centers, trade associations, business libraries, and major universities may also provide these publications. Local or regional world trade centers and international trade clubs are composed of area business people who represent firms engaged in international trade and shipping, banks, forwarders, customs brokers, government agencies, and other service organizations involved in world trade. These organizations conduct educational programs on international business and organize promotional events to stimulate interest in world trade. There are 320 world trade centers or affiliated associations located in major trading cities throughout the world. By participating in a local association, a company can receive valuable and timely advice on world markets and opportunities from business people who are already knowledgeable on virtually any facet of international business. Another important advantage of membership in a local world trade club is the availability of benefits – such as services, discounts, and contacts – from affiliated clubs in foreign countries. Conducting international activities at domestic trade shows among others. In general, some industry associations often supply detailed information on market demand for products in selected countries or refer members to export management companies. Industry trade associations typically collect and maintain files on international trade news and trends affecting manufacturers. They often publish articles and newsletters that include government research. How do I identify current trends and competitors in my sector? Careful, thorough, and focused market research is essential to a successful export strategy. The objective of research is to determine where there is a market for your product, what opportunities there are and how to take advantage of them, who your potential customers might be, and what may influence their buying decisions, and what the potential risks and returns are on your venture. The US is a fast-paced, competitive economy where efficient product and service delivery, excellent quality assurance and an in-depth marketing plan are critical to success. It is also important to understand that the US is not a single market and should not be approached as such. It is actually comprised of many markets segmented and shaped by many different factors including geography, income levels, industry, age, race, religion, nationality, political affiliations, and occupations, etc. For example, New Yorkers will likely not have the same preferences for goods as Texans. Even though demand can vary from state to state, regional trends do exists. With market size and a range of preference also comes a range of opportunities for foreign exporters. The key to success is to be focused and to do your research carefully. Obtain trade statistics that indicate which states import your type(s) of products. Perform a thorough review of the available market research reports* in the states and industries in question to determine market openness, common practices, tariffs and taxes, distribution channels, and other important considerations. Identify five to ten large and fast-growing markets for the firm’s product(s). Analyze them over the past three to five years for market growth in good and bad times. Identify some smaller but fast-emerging markets where there may be fewer competitors. Target three to five of the most statistically promising markets for further assessment. * Information on where to find market reports is available in the resources section of this toolkit. Examine consumption and production of competitive products, as well as overall demographic and economic trends in the target country. Determine the sources of competition, including the extent of domestic industry production and the major foreign countries the firm would compete against. Analyze factors affecting marketing and use of the product in each market, such as end-user sectors, channels of distribution, local idiosyncrasies, and business practices. Determine whether your product is price competitive after you’ve figured in packaging, shipping, marketing, sales commissions, taxes & tariffs, and other associated costs. If the company is new to exporting, it is probably a good idea to target 2 or 3 markets initially. The product groups can be further split into detailed individual products. Oman TradeMap can be accessed through OCIPED website www.ociped.com. What distribution channels (mode of entry) are available for exporting to the U.S.? As part of your export strategy, you must decide how your product will enter the chosen US market. The most common methods of exporting are indirect selling and direct selling. Your decision on the best approach for you will depend on your product and your resources. These sales are indistinguishable from other domestic sales as far as the original seller is concerned. Someone else has decided that the product in question meets foreign demand. That party takes all the risk and handles all of the exporting details, in some cases without even the awareness of the original seller. Many US and foreign corporations, general contractors, foreign trading companies, foreign government agencies, foreign distributors and retailers, and others in Oman purchase for export. These buyers are a large market for a wide variety of goods and services. In this case a company may know its product is being exported, but it is still the buyer who assumes the risk and handles the details of exporting. This approach is the most ambitious and difficult, since the exporter personally handles every aspect of the exporting process from market research and planning to foreign distribution and collections. Consequently, a significant commitment of management time and attention is required to achieve good results. However, this approach may also be the best way to achieve maximum profits and long-term growth. With appropriate help and guidance from relevant government agencies, freight forwarders, international banks, and other service groups, even small or medium-sized firms can export directly if they are able to commit enough staff time to the effort. For those who cannot make that commitment, the services of an EMC, ETC, trade consultant, or other qualified intermediary are indispensable. The advantages of direct exporting for a company include more control over the export process, potentially higher profits, and a closer relationship to the US buyer and marketplace. However, these advantages do not come easily since the company needs to devote more time, personnel, and corporate resources than indirect exporting requires. When a company chooses to export directly to the US, it usually makes internal organizational changes to support more complex functions. A direct exporter normally selects the markets it wishes to penetrate, chooses the best channels of distribution for each market, and then makes specific foreign business connections in order to sell its product. At first, you may use existing company personnel and organizational structures to conduct export activities. But, as your international sales and inquiries increase, you may want to consider separating your export from your domestic activities, at least for key functions like marketing, sales, and order processing. If export sales volume justifies it, separation will allow you to centralize the specialized skills needed to deal with international markets and conduct more focused marketing. Initially, this could include creating an export department with a full or part-time manager who reports to the head of domestic sales and marketing. A small company’s initial needs may be satisfied by a single export manager who has responsibility for the full range of international activities. The largest companies have separate international sales units reporting directly to the CEO and organized geographically or, in highly diversified companies, by product line. The key is to facilitate the marketer’s job. Good marketing skills can help the firm operate in an unfamiliar market. Experience has shown that a company’s success in foreign markets depends less on the unique attributes of its products than on its marketing methods. Once your company is organized to handle exporting, a proper channel of distribution needs to be carefully chosen for each market. Some examples of direct exporting include the following: sales representatives, agents, distributors, retailers, direct establishment and end users, as described below. Overseas, a sales representative is the equivalent of a manufacturer’s representative in Oman. The representative uses the company’s product literature and samples to present the product to potential buyers. A representative usually handles many complementary lines that do not conflict. The sales representative usually works on a commission basis, assumes no risk or responsibility, and is under contract for a definite period of time (renewable by mutual agreement). The contract defines territory, terms of sale, method of compensation, reasons and procedures for terminating the agreement, and other details. The sales representative may operate on either an exclusive or a nonexclusive basis. The widely misunderstood term “agent” means a representative who normally has authority, perhaps even a power of attorney, to make commitments on behalf of the firm he or she represents. Firms in the United States and other developed countries have stopped using the term and instead rely on the term “representative”. It is important that any contract state whether the representative or agent does or does not have legal authority to obligate the firm. The US distributor is a merchant who purchases goods from an Omani exporter (often at a substantial discount) and resells it for a profit. The distributor generally provides support and service for the product, thus relieving the company of these responsibilities. The distributor usually carries an inventory of products and a sufficient supply of spare parts and also maintains adequate facilities and personnel for normal servicing operations. Distributors typically handle a range of non-conflicting but complementary products. End users do not usually buy from a distributor; they buy from retailers or dealers. The terms and length of association between the company and the distributor are established by contract. Some companies prefer to begin with a relatively short trial period and then extend the contract if the relationship proves satisfactory to both parties. A company may also sell directly to US retailers, although in such transactions, products are generally limited to consumer lines. This method relies mainly on traveling sales representatives who directly contact US retailers, although results might also be achieved by mailing catalogs, brochures, or other literature. The direct mail approach has the benefits of eliminating commissions, reducing traveling expenses, and reaching a broader audience. For optimal results, a firm that uses direct mail to reach US retailers should support it with other marketing activities. The enterprise could set up its own office in the export market. This strategy might be suitable for a well establish export operation and would ensure that the exporter has control over channels of distribution. This option is not really applicable to small exporters as it can be costly and often involves a number of formalities. A company may sell its products or services directly to end users in foreign countries. These buyers can be foreign governments; institutions such as hospitals, banks, and schools; or businesses. Buyers can be identified at trade shows, through international publications, or through Commerce’s Export Contact List Service. (Contact your local EAC for more details). The company should be aware that if a product is sold in such a direct fashion, the company is responsible for shipping, payment collection, and product servicing unless other arrangements are made. Unless the cost of providing these services is built into the export price, a company could have a narrower profit than originally intended. If the nature of the company’s goals and resources makes an indirect method of exporting the best choice, little further planning may be needed. With this approach, a company engages the services of an intermediary firm capable of finding foreign markets and buyers for its products. Export management companies (EMC), export trading companies (ETC), international trade consultants, and other intermediaries can give the exporter access to well-established expertise and trade contacts. Yet, the exporter can still retain considerable control over the process and can realize some of the other benefits of exporting, such as learning more about foreign competitors, new technologies, and other market opportunities. Firms that are new to exporting or are unable to commit staff and funds to more complex export activities may find indirect methods of exporting more appropriate. Some examples of indirect exporting include the following: Export Management Companies and Export Agents, Merchants or Resellers. Export management companies (EMCs) are known by different names in different countries such as, trading houses, export development companies, and international trading companies. An EMC acts as the export department for one or several producers of goods or services. It solicits and transacts business in the names of the producers it represents or in its own name for a commission, salary, or retainer plus commission. Some EMCs will take title to the product and export it for its own account, providing immediate payment for the producer’s products by either arranging financing or directly purchasing products for resale. Typically, only larger EMCs can afford to purchase or finance exports. Companies that have exportable products but who do not have the time and resources to learn all that is necessary to successfully export, can significantly benefit from EMCs. EMCs act as effective business development intermediaries between producers and markets. They specialize not only in exporting, procuring merchandise locally to sell internationally, but also importing, buying internationally and selling locally. They should have strong international marketing capabilities and are often supported by an organization in the destination market. EMCs provide a number of services to the SMEs. They usually specialize either by product or by foreign market, or sometimes even both. Because of their specialization, the best EMCs know their products and the markets they serve very well and usually have well-established networks of foreign distributors already in place. This immediate access to foreign markets is one of the principal reasons for using an EMC, since establishing a productive relationship with a foreign representative may be a costly and lengthy process. If you elect to work with an EMC, to retain sufficient control over your foreign sales you should require regular reports on its efforts to market your products and retain the right to approve certain activities, such as advertising programs or service arrangements. You should negotiate these points before entering an agreement with an EMC. Export agents, merchants, or resellers purchase products directly from the manufacturer, packing and marking the products according to their own specifications. They then sell these products overseas through their contacts in their own names and assume all risks for accounts. In transactions with export agents, merchants, or resellers, a company relinquishes control over the marketing and promotion of its product. This situation could have an adverse effect on future sales efforts abroad if the product is under-priced or incorrectly positioned in the market, or if after-sales services are neglected. On the other hand, the effort required by the manufacturer to market the product overseas is very small and may lead to sales that otherwise would take a great deal of effort to obtain. Another option for the well-established exporter might be to set up an association with a local partner to form a joint venture. There are, however, often binding legal implications with this option making it difficult for the exporter to withdraw from the agreement. Before agreeing to a joint venture, the exporter should ensure that it is possible to end the arrangement if so required. One such example of joint efforts to increase exports is an export trading company (ETC). ETCs are formed, organized and operated by a group of domestic producers. ETCs can be organized along multiple or single-industry lines and can also represent producers of competing products. How do I make my product more competitive in the U.S. marketplace? As mentioned above, to enter the US market successfully, you may have to modify your product to conform to US government regulations, geographic and climatic conditions, buyer preferences, or standards of living. You may also need to modify your product to facilitate shipment or to compensate for possible differences in engineering and design standards. Buyer preferences in the US market may also lead exporters to modify their product. Regional differences, including geographic and climate conditions, often determine whether a product is marketable. Regional standard of living can also determine whether a an exporter needs to modify a product. The level of income, education, and the availability of energy are all factors that help predict the acceptance of a product in a market. The exporter should also be aware that other fundamental aspects of its products may require changing. For example, US electrical standards differ from many foreign countries. Information on US technical standards and certification is available from the National Institute for Standards and Technology and information on safety standards is available from Underwriters Laboratories. Consumers are concerned with both the product itself and the product’s supplementary features, such as packaging, warranties, and service. A company may find that building international recognition for a brand is expensive. Protection for brand names varies from one country to another. To protect its products and brand names, a company must comply with US laws on patents, copyrights, and trademarks. Exporters may find it useful to obtain the advice of US lawyers and consultants when appropriate. They may also find it advantageous to apply for a patent for its product. For additional information about applying for patents, contact the Patent and Trademark Office of the US Department of Commerce at 1-800-786-9199. Another element of product preparation that a company should consider is the ease of installing or using that product in the US market. If technicians or engineers are needed overseas to assist in installation, the company should minimize their time in the field if possible. To do so, the company may wish to preassemble or pretest the product before shipping. Disassembling the product for shipment and reassembling abroad may be considered by the company. This method can save the firm shipping costs, but it may add to delay in payment if the sale is contingent on an assembled product. The company should be careful to provide all product information, such as training manuals, installation instructions, and parts lists – all in the local language – even relatively simple instructions. Note, however, that freight charges are usually assessed by weight or volume (whichever provides the greater revenue for the carrier), a company should give some consideration to shipping an item unassembled to reduce delivery costs. Shipping unassembled goods also facilitates movement on narrow roads or through doorways and elevators. The company should consider whether to include a warranty on the product, since a buyer expects a specific level of performance and some measure of reliable certainty that it will be achieved. Levels of expectation for a warranty vary by country depending upon its level of development, competitive practices, the activism of consumer groups, local standards of production quality, and other factors. Product service guarantees are important since customers overseas typically have service expectations as high as or greater than in the United States. In all cases, a warranty should be highly specific as to the scope of its coverage. A company may use warranties for advertising purposes to distinguish its product from the competition. Strong warranties may be required to break into a new market, especially if the company is an unknown supplier. In some cases, warranties may be instrumental in making the sale and become a major element in negotiations. By providing an unnecessary warranty, the company may raise the cost of the product higher than the competitors’ costs. When considering this point, exporters should keep in mind that servicing warranties will probably be more expensive and troublesome in foreign markets. It is desirable to arrange warranty service locally with the assistance of a representative or distributor. Whether you decide to include a warranty or not, note that under US state law there are certain implied warranties that attach to a product and may not be disclaimed. Depending on the volume of your trade, seeking the advice of a US lawyer may be a prudent step to discover the potential risks related to your product under the laws of the state where you intend to trade. Insurance devices for products liability claims are also available. Of special concern to American consumers is the service US companies provides for their products. Service after the sale is critical for some products. Generally, the more complex the product technology, the greater the demand will be for pre-sale and post-sale service. Therefore, the exporter may opt to offer simpler, more robust products thereby reducing the need for maintenance and repairs. Whether on an outsourced basis or provided directly, the use of call centers, which provide consumers with US toll free numbers to access customer support and assistance based elsewhere, and web-based support can minimize the cost burden of providing such a service. Is export finance assistance available and what of financial issues should I consider? It may not be possible for you to finance the extra costs of an export initiative entirely from your company’s resources. Hence, you might need additional financing to cover production and operating costs until the goods are finished, shipped and paid for. In such cases, you’ll need to know what financing might be available and where you can obtain it on the best terms. In general, there are several types of basic financial assistance for export ventures: pre-shipment financing, post-shipment financing, medium-term financing and project financing. These must comply with WTO Agreement rules under the Agreement on Subsidies and Countervailing Measures (“SCM Agreement”) that prohibit specific subsidies. Pre-shipment Export Financing – You may require additional financing to produce the goods or services your buyer wants. To persuade a lender to help you, you’ll need a firm export sale and a contract that is acceptable to the lender in terms of repayment risk, payment terms, production timeframes, and recourse conditions. Post-shipment Export Financing – This covers your financial needs during the time between shipping the goods and receiving payment for them. Medium-term Export Financing – This is often used with capital goods exports. You can usually obtain such assistance for terms of 180 days to two years, and possibly for terms of as long as five years. Project Financing – This applies to large undertakings such as major capital projects. This is a less common export field for small- to medium-size exporters since such projects tend to be long-term, complex and demanding. Omani businesses exporting to the United States should be prepared to give credit terms to their buyers. The most common payment method is by open account, with a 30- to 90-day credit period. “Open account” means that you agree to ship the goods, or provide the services, before getting paid. This is simple and involves less paperwork than other payment methods, but it also has one huge risk — you’re fully exposed to your buyer’s credit risks; if the buyer refuses to pay, for whatever reason, you may not get your money. Cash in advance – Your buyer pays you in full or provides a deposit before you ship the goods or provide the services. This is obviously the best option for you. However, US buyers may refuse to purchase from you if you don’t sell on open account. Letters of Credit (L/Cs) – Letters of credit issued normally by a bank or other financial institution are widely used in trade finance. The L/C provides a commitment from the customer, consignee, or importer to pay the exporter when it presents the set of financial, commercial, customs, shipping, insurance, and transport and other documents listed in the L/C. The commitment to pay can be either irrevocable or revocable and confirmed or unconfirmed, but is most commonly irrevocable and confirmed.). Documentary Collections – These are similar to L/Cs, except that to use a collection, you entrust the collection of payment to a remitting bank, usually your own. The remitting bank sends documents to a collecting bank (usually the importer’s bank), along with instructions for payment. The collecting bank accepts your buyer’s payment and sends it to the remitting bank, which then pays you. Collections are less complicated but also less secure than L/Cs, because you’re exposed to your buyer’s credit risks until you receive payment. However, from your point of view, they’re preferable to the open-account approach. Export Credit Insurance which provides cover to Omani exporters against commercial and non-commercial risks. These include buyer’s insolvency/bankruptcy, buyer’s failure to pay, buyer refusing delivery of goods, foreign exchange transfer delay, import bans or cancellation of import license, payment moratorium, war, civil disorder, natural disasters. ECGA’s guarantee minimize the risk and maximize the opportunities of exporters selling in foreign markets. ECGA indemnifies exporters if they have not been paid by their buyers abroad. Omani exporters are credit insured for their exports with ECGA to 91 countries. The list of countries can be obtained from the ECGA Web site: www.ecgaoman.com. For more information, contact ECGA at info@ecgaoman.com. If you’ve delivered your goods to your US customer but he hasn’t paid you, what options do you have? You can hire a lawyer or a collection agency. However, it can still be very difficult for an exporter to recover payment from recalcitrant US customers, especially if the customers have sought bankruptcy protection. Legal action can be quite costly, so arbitration or mediation to settle out of court is much preferable, if you can arrange it. This presupposes that you included an arbitration/mediation clause into the contract with your buyer. If you didn’t, your best course is to obtain legal advice and consider whether it’s even worthwhile to pursue payment. Hiring a licensed collection agency can also help to encourage payment. Although cheaper than hiring a lawyer, this is still expensive because collection agents usually take a percentage of the receivable as payment. This suggests that the effort to put secure payment devices in place may be worth the reduction in risk that can be achieved. Doing business in the US is not free of risks, largely because of the frequency of buyer defaults and the level of business bankruptcies south of the border. In 2000, 98 public companies in the United States sought bankruptcy protection. In 2001, this number jumped to 151, and in 2002, to 191. Billions of dollars, much of it owed by these corporations directly to other businesses, vanished almost overnight. This caused a ripple effect throughout international supply and distribution chains. You can protect yourself from financial risk through: (1) Buyer Credit Checks or (2) Accounts Receivable Insurance. Is the buyer creditworthy? Is her or she willing and able to pay me? Is its financial record clear of irregularities? What reputation does its management have? Do other suppliers give it a good credit report? There are consulting firms and credit reporting agencies in the United States that will help you check out a buyer. Such checking can be expensive, but if it uncovers serious risks for your company, it becomes worth it. After cash in advance, accounts receivable insurance is the best way to avoid the most serious consequences of buyer non-payment. Presently, the Omani Rial is pegged to the US Dollar so there is no risk of exchange rate fluctuations. Banks provide advisory services and participate in project start-ups in the Sultanate of Oman through direct lending and credit enhancement products. A few Omani banks also manage and disburse soft loans on behalf of the Omani Government. Such soft loans are provided to finance new industrial and service sector projects and for expansions of such companies. In addition, the banks arrange debt facilities from other Banks and Financial Institutions. Moreover, banks provide medium-term loans to finance the purchase of capital equipment to meet normal capital expenditure or for long-term working capital needs. Project evaluation services are given by the banks to their clients on a case to case basis but at a cost to the client. Pre shipment– We offer finance at liberal terms on the basis of pre-shipment guarantees issued on behalf of credit insured customers by ECGA. This guarantee allows exporters to get continuous financial support in executing export orders. Post shipment– Financing of documents under LC can either be with recourse or without recourse to the beneficiary. We discount the bills at a competitive rates, this provides exporters with improved liquidity. Documents Checking. Bank Muscat’s experienced and well-trained staff offer their expertise in the area of documents checking. They ensure your documents are well attended to, checked adequately and sent to their destination free of discrepancies and within an acceptable time frame. Furthermore, they ensure that acceptance of documents is received on time, and payments are made immediately or on maturity depending on the payment terms of the Letter of Credit. In case any discrepancy is found, they will advise you immediately on the same day and will also provide assistance and advice in preparing documents to avoid discrepancies in future. Documentary Collection. Documentary collection is a process where the seller (drawer) forwards documents through his bankers (remitting bank) with instructions to the buyer’s bank (collecting bank) that the documents be released to the buyer (drawee) on acceptance/payment/written undertaking to pay on due date of the bill. Documentary collections are governed by internationally accepted guidelines published by the ICC 522 OF 1995- Uniform Rules for Collection (URC 522). HSBC can provide you with advice on any aspect of your export document preparation. They can also provide working capital finance to help you source your raw materials. Export Documentary Collections (DC) Advising – Prompt advising of the DCs received from wide range of issuing banks worldwide. Export DC Transfer – Transfer of DCs established in your favor to manufacturers where you are acting as the intermediary. Export DC Confirmation – Confirmation of export DCs from wide range of acceptable issuing banks thereby obviating issuing bank risk and enhancing the security of your export receivables. Export Collections – Facilitating your export transactions on non-DC basis. HSBC Group’s wide network ensures that you receive your payments quicker. Export Financing – Pre-Shipment Finance: Financing your pre-shipment requirements enabling you successfully and satisfactorily accomplish your pre-shipment activities. Negotiation under Export DCs – Negotiation of your export / inland trade documents under DCs from wide range of issuing banks ensuring prompt realisation of your sale proceeds. Discounting under DC / non-DC transactions – Upfront discounted payment against non-DC backed D/P (Documents against Payment) or D/A (Documents against Acceptance) bills. Oman Development Bank is an Omani shareholding company established under Royal Decree No.18/97. The share capital of the Bank currently stands at RO 20 Million. ODB is set up to promote and encourage economic development in the Sultanate of Oman by providing financial assistance to small and medium projects (whose total investment cost does not exceed 250,000/- Omani Rials) in the fields of industry, agriculture, animal resources, fisheries, tourism, education, professional offices, conventional crafts and workshops. Advancing or guaranteeing medium and long term loans. Participating in the Joint Stock Companies or underwriting the issuance of shares to the public. Provision of technical assistance to Omani companies with regard to investment opportunities and conducting of feasibility studies within the limits of the Bank’s capabilities. Management of the loans and grants advanced by the Government to the craftsmen. Should belong to one of the sectors mentioned above. Should belong to an establishment which is subject to the Omani Commercial Companies Law and registered in the Sultanate of Oman. Should have obtained all the relevant Governmental licenses (industrial projects can apply for a loan from the Bank before obtaining the industrial license but should obtain an initial approval). Should be located in the Sultanate of Oman. Should be technically feasible and economically viable. Promoter(s) should be of good reputation. The securities provided should be appropriate and sufficient to cover amount of loan. The loans extended to any one project shall not exceed 150% of the paid up capital of the project (if located in the governorate of Muscat except Wilayat of Quriyat) nor 250% of the paid up capital if the project is located outside the Governorate of Muscat or inside Wilayat of Quriyat. In all cases the total amount of the loan shall not exceed 165,000 Omani Rials. Grace Period of the Loan: The Bank grants a grace period for repayment of the principal of the loan ranging between one to two years beginning from the date of signing the loan agreement. For more information, contact ODB at P.O. Box 3077, Ruwi, Postal Code 112, Sultanate of Oman, Tel: 24812507 Fax No. 24813100 Web Site: www.odb.oman.com E-mail : odebe@omantel.net.om. What logistic support services are available to me for exporting to and monitoring from the U.S. and how do I use them? Logistics in the exporting process involves the integration of information, transportation, inventory, warehousing, material-handling, and packaging, and occasionally security. Support services exist to facilitate each step of the process. Commonly used logistics and support providers are discussed here. Freight forwarders are agents who arrange land, sea, and air transportation of goods. They complete all procedural and documentation formalities involved in custom and port clearance on behalf of the shipper, and arrange for warehousing of cargo before shipment of export cargo. Some freight forwarders also undertake consolidation of shipments, which enables them to obtain preferential freight rates from the shipping line or airline. Freight forwarders also assist the exporter in selecting economical shipping routes; arranging packaging and marking of shipments; preparing shipping and regulatory documents; delivering goods to carriers; collecting transport documents; arranging insurance and processing claims; booking shipping space; and providing advice on the relative costs of sending goods by sea and air. Freight forwarders can assist with an order from the first step by advising the exporter of the freight costs, port charges, consular fees, cost of special documentation, and insurance costs as well as their handling fees – all of which help in preparing price quotations. Freight forwarders may also recommend the type of packaging for best protection of the merchandise in transit; they can arrange to have the merchandise packed at the port or containerized. When the order is ready to be shipped, freight forwarders should be able to review the letter of credit, commercial invoices, packaging list, etc. to ensure that everything is in order. They also reserve the necessary space on board an ocean vessel. If the cargo arrives at the port of export and the exporter has not done the needful to comply with customs export documentation regulations, freight forwarders may make the necessary arrangements with customs brokers to ensure this. In addition, they may have the goods delivered to the carrier in time for loading. They may also prepare the bill of lading and any special required documentation. After shipment, they forward all documents directly to the customer or to the paying bank. Freight forwarder costs are a legitimate export cost that should be accounted into the price charged to the customer. A list of shipping and forwarding companies are provided on OCIPED’s website: www.ociped.com. Export can be defined as moving goods from the Sultanate through the custom offices by land, sea or air according to the determined laws. Below is a listing of Customs Offices in the Sultanate of Oman. Port Sultan Qaboos, Oman’s premier maritime gateway, enjoys a prime location in the politically stable Sultanate of Oman. Situated in a natural harbour 250 Kilometers south of the Strait of Hormuz on the Indian Ocean coast of the Arabian Peninsula, Port Sultan Qaboos’ location makes it an ideal hub, not only for the Arabian Gulf but also for the Indian Sub-continent and markets in East and South Africa. Port Services Corporation (PSC) is the port authority for Port Sultan Qaboos. The location of Port Sultan Qaboos offers considerable savings in steaming time when compared to other ports. The port’s tariff compares very favorably with others across the region. The already impressive infrastructure, skilled manpower, fast and efficient handling operations and documentation clearance system in PSC is continuously being improved. Its present infrastructure permits the possibility to handle the container through-put in the excess of 300,000 twenty-foot equivalent units (TEUs) per annum. The port boasts of a storage area for 9,755 TEUs including Reefer container slots plus open storage areas, which can block stack for another 3,000 to 5,000 TEUs – Total storage area available for stacking is 12,755 to 14,755 TEUs. The port’s infrastructure presently permits high stacking of 4 containers. The following table indicates the capabilities length and draft of the container terminals. Berthing facility for RO-RO vessels and purely car carriers which are complemented by the large space available for short and long-term storage of cars, buses and construction vehicles imported for both local and re-export markets. The facility today is discharging vehicles in excess of 55,000 units per annum with over 200 vessels calling into the port. The port has, over the years, earned an excellent reputation for handling products and general cargos such as heavy lifts, structural steel, timber and casework. Users of Port Sultan Qaboos benefit from excellent deepwater berths up to 13 meters and supporting facilities for the handling of bulk cargos such as cement, bitumen, vegetable oil and grain. The rated capacity for grain discharge is 500 tons an hour backed up by grain silos having a capacity of 120,000 tons. The total area of transit shed is 16,500 M² and the total area of open storage extends to 242,600 M². The port provides modern handling equipment and stevedoring services. The PSC website-www.pscoman.com provides tariffs for information only and for selected services/cargo categories. For a copy of the published tariff and specific rates, please contact the Marketing Department of Port Services corporation for further details. The Government of Oman owns the Port of Salalah and has given a 30-year concession to Salalah Port Services Co SAOG to manage and operate the facility. Salalah Port Services (SPS) was formed as an Omani Public Joint Stock Company with a 70% local shareholding and 30% equity held by AP Moller – Maersk Terminals of Denmark. SPS is also the Port Authority on behalf of the government making it one of the world’s few fully privatized port facilities. The port of Salalah is located 18 Km south of Salalah city. It is a deepwater port and can accommodate large vessels up to 16 meter draft. The container terminal has 4 berths totaling 1,236 meters in length. The terminal has a nominal capacity of 2.2 million TEUS a year. The dockside facilities include 11 high speed, 66 ton capacity cranes designed to load ships up to 22 containers wide. The port has 22 rubber tired gantries and 4 top loaders. There are facilities for over 500 refrigerated containers. The General Cargo Terminal has 11 berths ranging in length from 115 meters to 600 meters with drafts up to 16 meters and a dedicated oil pier. The location of Salalah along the main east- west shipping routes makes it a strategic port of call for the world’s container vessels. With world class facilities and unmatched productivity already available to them, the recent addition of bunkering services will provide vessels with the ability to refuel during their journey, thereby allowing them to carry additional cargo. In addition to the container terminal the port has facilities to handle most other types of cargos including general cargos, bulk oil, RO-RO and also cater to cruise vessels. SPS website-www.salalahport.com provides selected marine and stevedoring charges. For a copy of the published tariff, please contact the Marketing Department of SPS. The Port of Sohar is getting set to herald a new era for the Sultanate of Oman. The signing of a concession agreement recently with Rotterdam Municipal Port Management (RMPM) reflects the Omani government’s commitment towards development of infrastructure. The 25-year agreement provides for the incorporation of Sohar Industrial Port Company (SIPC), which will undertake the development and management of the facility. Planned to be built in three phases, work on Sohar Port started in late-1999. The Phase-I package involved the construction of a breakwater (costing RO 25 million) and the dredging and reclamation (costing RO 9.8 million) at the port. An 850-metre long quay is being built at RO 12.84 million. The construction of two liquid berths, mooring facilities and paving are also underway. During Phase-II it is proposed to build a 260-metre quay for the upcoming fertilizer plant which will again be leased out from day one of its completion. The process of building the third liquid berth has also started and plans are afoot to erect the fourth, during Phase-II, for the proposed aluminum smelter project. An additional berth will be built for government use. The harbor will have a depth of 17 meters, which will be deep enough to accommodate the fifth generation container vessels, which are coming into service. Port Services Corporation S.A.O.G, Post Box 133, Postal Code 113, Muscat, Sultanate of Oman, Telephone: (968) 24714000, Fax: (968) 24714007, website: www.pscoman.com, email: mktg@pscoman.com. Sohar Industrial Port Company SAOC, Head Office, PO Box 777, P.C. 116, Mina Al-Fahal, Beach Oasis, Way 3036 Building 2838, Shatti Al-Qurm, Muscat, Sultanate of Oman, Telephone: (968) 24697830, Fax: (968) 24697831, website: www.portofsohar.com. How do I identify my product's customs duties and fees? Link to the Harmonized Tariff System (HTS) on the Internet or obtain a hard copy of the HTS. Once you have determined the 8-digit rate line, look under the 8-digit rate line for the 9th and 10th digit that covers your product. Note: There are some situations in which goods can be described several ways. Customs established a binding ruling program whereby importers can request a written ruling as to the proper United States HTS classification and applicable rates of duty. Once you’ve obtained the HS number for your product, check the US tariff elimination schedule to determine at what rate the duties on your product will be reduced. This is important to determine to what extent the FTA will be beneficial to your product. Each line item of the tariff schedules are assigned a code that indicates the staging by which the current tariff for each items is reduced and ultimately eliminated. The schedules also note the base rate of customs duty, which is used to determine the starting point and interim rate at each stage of reduction for an item. The US Tariff Schedule is available at the Oman-US Free Trade Agreement website. How do I register my company in the United States? First, you will need to identify the state where you intend to establish and register your company. Other possibilities include establishing an agency or distributorship relationship with an existing US company. If establishment is the preferable choice, note that each of the 50 states in the US has similar but often quite different rules for the establishment and registration of a business. Making your selection will depend on proximity to markets, proximity to ports of entry, taxation, and registration cost and complexity, among other considerations. For more information about the requirements in different states, please visit: www.business.gov/register/incorporation. When beginning a business, you must decide what form of business entity to establish. There are several options to consider, and all have different legal, financial and tax considerations. It is recommended that you consult a legal and tax advisor. Sole Proprietorship – A business owned and managed by one individual who is personally liable for all business debts and obligations. Partnership – Two or more people owned by shareholders. Corporation – A legal entity owned by shareholders. Limited Liability Company (LLC) – A new, hybrid-type of legal structure that provides the limited liability features of a corporation and the tax efficiencies and operational flexibility of a partnership. More information about these and other business structures can be found in the US Small Business Administration (www.sba.gov) – Guide to Choosing a Business Structure. It provides a clear and concise guide covering the most popular business structures and outlines the advantages and disadvantages of each type of business structures as well as tax requirements. The Internal Revenue Service (Tax Information – Business Structures) also provides information on the tax implication of the most common business structures. Once you choose a legal structure, you may have to fill registration forms with your state and/or local government. The requirements vary from state to state. Please check the following site for more details about state registration: www.business.gov/register/incorporation. Your initial choice of business type is not permanent. You can change your business structure by following the Internal Revenue Service’s instructions for Changes in Ownership or Organization. All businesses are required to pay federal, state, and in some cases local taxes. Most businesses will need to register with the Internal Revenue Service (IRS) and state and local revenue agencies, and receive a tax ID number or permit. Employers with employees, business partnerships and corporations and other types of organizations, must obtain an Employer Identification Number (EIN) from the US Internal Revenue Service. The EIN is also known as a federal tax identification number and is used to identify a business entity. The EIN is also known as an Employer Tax ID and Form SS-4. For more information, contact the US Internal Revenue Service: 1-800-829-4933. Income Taxes – Nearly every state levies a business or corporate income tax. Your tax requirement depends on the legal structure of your business. For example, if your business is an LLC, the LLC gets taxed separate from its owners, while sole proprietors report their personal and business income taxes using the same form. Employment Taxes – In addition to federal employment taxes, business owners with employees are also responsible for paying certain taxes required by the state. All states require payment of state workers’ compensation insurance and unemployment insurance taxes. Five states (California, Hawaii, New Jersey, New York, and Rhode Island) and Puerto Rico require businesses to pay for temporary disability insurance. The State Tax Guide provides links to information about business registration and your tax obligations in your state. http://www.business.gov/finance/taxes/state.html. Every business needs one or more federal, state or local licenses or permits to operate. Licenses can range from a basic operating license to very specific permits (e.g., environmental permits). Regulations vary by industry, state and locality, so it is very important to understand the licensing rules where your business is located. Not complying with licensing and permitting regulations can lead to expensive fines and put your business at serious risk. For more information about specific permits required by different states, visit www.business.gov/register/licenses-permits. i Disclaimer: The FTA Toolkit was prepared by Booz Allen Hamilton Inc. (Booz Allen) and is presented as a public service to users. The information it contains is provided for informational and illustrative purposes, and does not purport to be exhaustive. While reasonable efforts have been exercised to collect, prepare and provide potentially useful information and material, the information is provided “as is” without guarantees or warranties of any kind, express or implied, and Booz Allen does not warrant or guarantee the accuracy, completeness, adequacy or currency thereof. We caution that policies, laws, regulations, and standards are subject to differing interpretations and are frequently modified, amended, rescinded, or replaced. The provision of the FTA Toolkit, and none of the information contained therein, constitutes the provision of legal or financial advice. Users of this FTA Toolkit should not in any manner rely upon or construe the information as legal or financial advice or the rendering of a legal or financial advisory service of any kind, and nothing therein shall be taken, implied or construed as an offer to provide, such advice or service. Users should not act or fail to act based upon the information in the FTA Toolkit without first seeking the independent advice of their own attorney or financial advisor. External links are provided in the FTA Toolkit as aids to help you identify and locate other sources of information that may be of interest, and are not intended to state or imply that Booz Allen endorses, sponsors, are is affiliated or associated with, or is legally authorized to use any trade name, registered trademark, logo, legal or official seal, or copyrighted symbol that may be contained on, the linked sites. No guarantees or warranties of any kind, express or implied, are provided with respect to the information located on externally linked sites, including its accuracy, completeness, adequacy or currency, and Booz Allen expressly disclaims any knowledge or information as to the truth or accuracy thereof, and cautions against reliance thereupon unless the information is first independently verified by the user. A textile or apparel good specified in Annex 3-A of the Agreement or agricultural goods specified in Annex 4-A of the Agreement undergo an applicable change in tariff classification specified in General Note 31(h). See United States-Oman Free Trade Agreement Implementation Instructions, [U.S.] Memorandum for: Directors, Field Operations (PDF 205 KB) From: Executive Director, Trade Policy and Programs , Office of International Trade, January 7, 2009.
iii See United States-Oman Free Trade Agreement Implementation Instructions at note 3, above. iv The legislative tent of the US Congress intent in enacting 19 USC. 1304 was “that the ultimate purchaser should be able to know by an inspection of the marking on the imported goods the country of which the good is the product. The evident purpose is to mark the good so that, at the time of purchase, the ultimate purchaser may, by knowing where the goods were produced, be able to buy or refuse to buy them, if such marking should influence his will.” See United States v. Friedlaender & Co., 27 C.C.P.A. 297 at 302 (1940). v See Section 134.41(b) of the [US] Customs Regulations, 19 CFR §134.41(b). viii Source: Root, F. R., Entry Strategies for International Markets (1987). Exporting to the United States, A Team Canada Inc. Publication, Minister of Public Works and Government Services Canada, 2005. Exporting to the United States: A Guide for Canadian Businesses, Foreign Affairs and International Trade Canada (FAITC), 2008. Step-by-Step Guide to Exporting, Prepared by Write-Away for the Foreign Affairs and International Trade Canada, 2008. Exporting to the USA, Getting Started – A Practical Guide, UK Trade and Investment, 2003. “Trade Secrets – The Export Answer Book for Small and Medium-Sized Exporters”, A joint publication of OCIPED and the International Trade Centre UNCTAD/WTO (ITC).